Photos from our trip to Oban have been popping up on my Facebook memories from this time last year. And seeing that I wasn’t blogging then, I still thought it merited a write-up. I’ve long wanted to visit Oban and was not disappointed. Bearing in mind Scotland was recently voted as the world’s most beautiful country, coupled with the fact that I’m back here after many years, I’m keen to see more of the homeland. 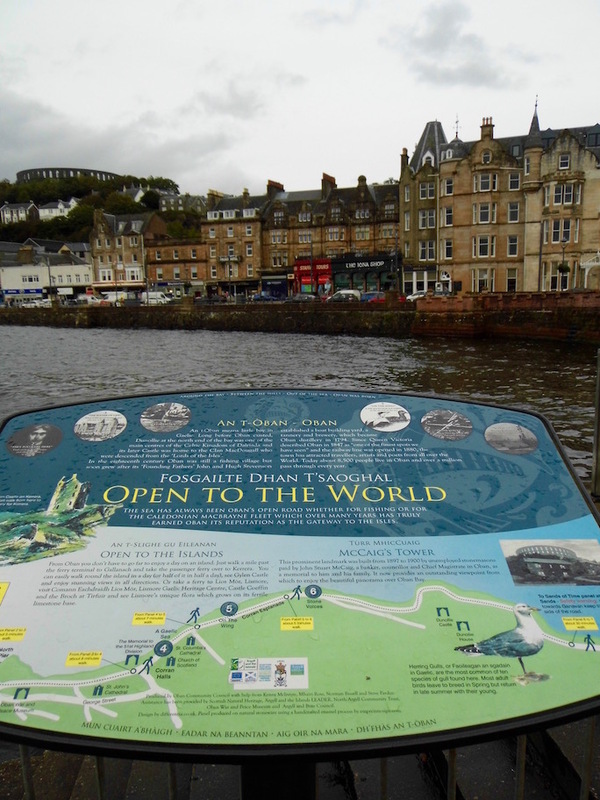 Oban is a busy port town with a working harbour and is famous for its seafood. Ferries cross the bay all day which add to the atmosphere. I was dying to jump on one of them and head out to the islands, but alas this was a fleeting visit. The numerous German and American accents we heard go to show that it’s a popular destination well into the time of year that darker nights and chillier weather set in. While it’s well-connected by road and rail, it does feel like a slightly off the beaten track. To me it makes it all the more interesting a place to head to. Half a lifetime in London has left me seeking quieter parts. This visit preceded my Hebridean adventure from earlier this year and was my first visit to the Gaeltacht. Likewise, Oban is in a Gaelic-speaking region and it’s great to see bilingual signs on home turf. And in a language so different to English. To get there we took the A82 north-west out of Glasgow, changing to the A85 towards Oban at Crianlarich. Not only is the destination a winner, but the journey itself from Glasgow takes in some sights. I’m sure to visit Loch Awe in the future with a sketchbook (and maybe my bicycle). We also had a pitstop at the Green Welly* before the road branches off towards Glencoe. There was no shortage of hardy souls kitted out in climbing gear despite the drizzle. I’m sure this city girl will learn! 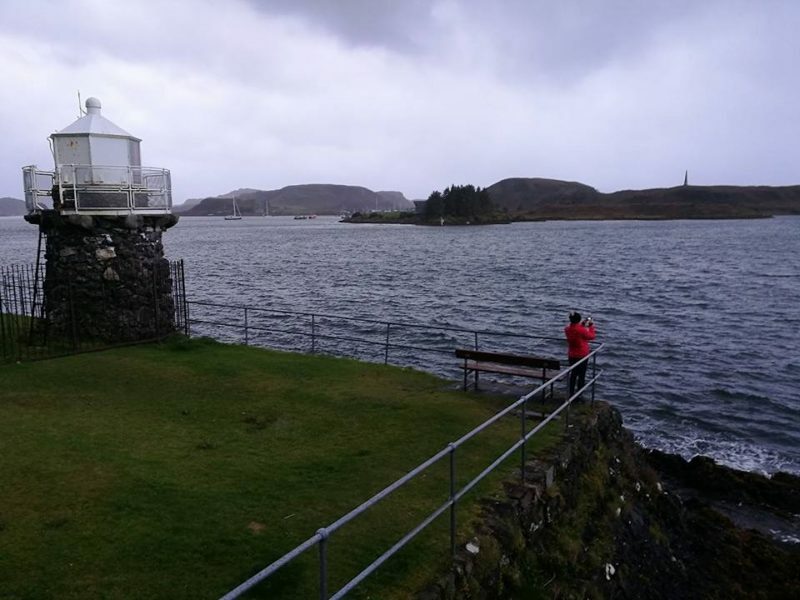 Oban’s beautiful horseshoe bay affords stunning views out to the island of Mull as well as nearby island of Kerrera. The town itself sits in a bowl and it’s a painter’s paradise. Needless to say, this being Scotland the weather can change in minutes. The view towards Mull was soon obscured by a sea mist (haar) which added to the atmosphere. I quickly learnt that early October, frequently mild in much of the UK, is a different beast at the seashore (note to self #1: take a woolly hat!). Gone are my fashion-conscious London days and trips to Reiss* and Coast*. This coast demands trips to Go Outdoors* and Tog 24*. 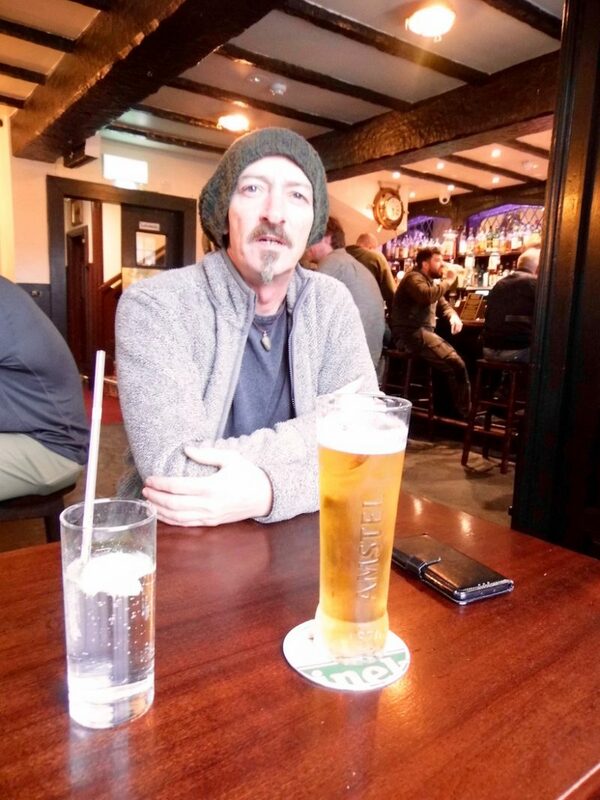 I know that Stephen is preparing me for a spot of hill-walking now I’m back in Scotland. Just as well I’ve grown to love cold-weather wear! Please excuse me as some of these are iPhone photos, plus some of Stephen’s (note to self #2: pack camera batteries!). 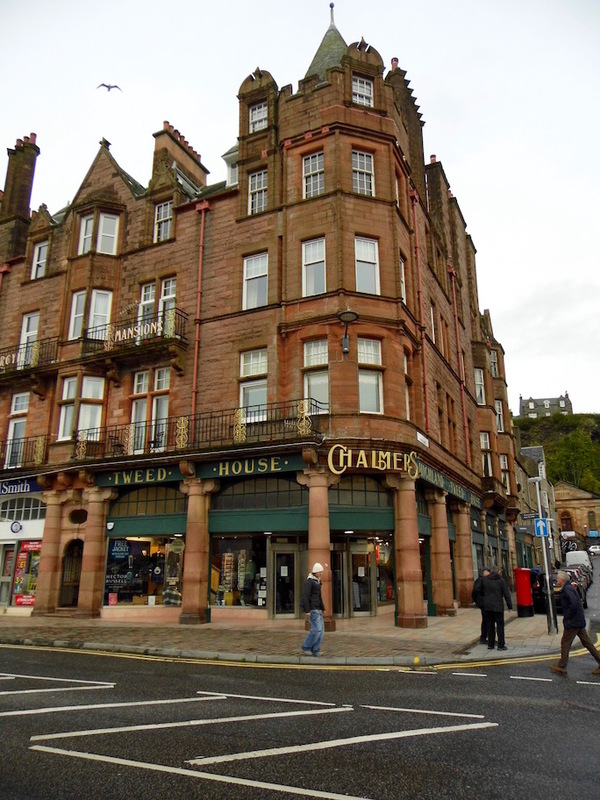 A seaside setting demands robust architecture and Oban’s is certainly built to last. Hardy, weather-resistant buildings line the coast, built to withstand all weathers. Red or grey sandstone, wee turrets, relief sculptural insets, Scots baronial, the buildings I grew up around contrast with the architecture down south (no less impressive but different). Too bad we were on a quick trip as there are plenty of sketching building opportunities. 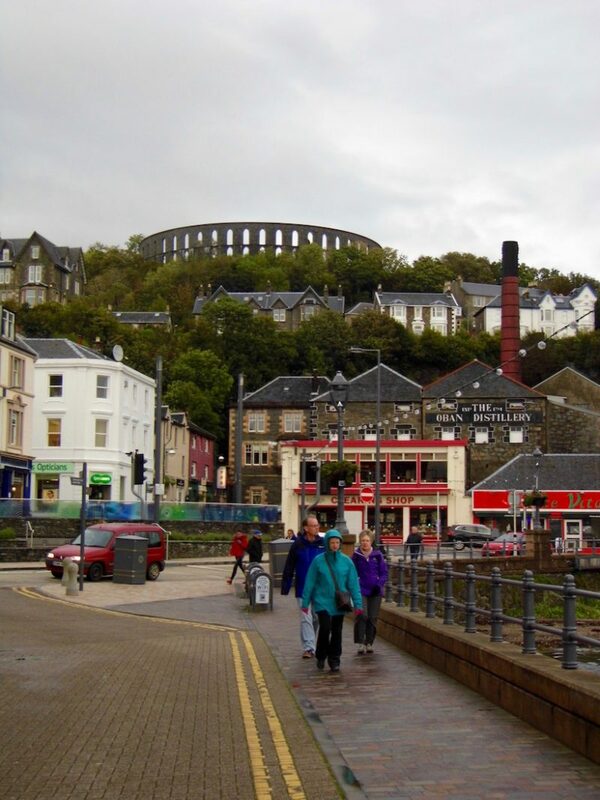 The amphitheatre-like building you see in the photo below is McCaig’s Tower. Some view you’ll get from the top! We’ve added that our things-to-see-next-time list since we were heading towards Fort William next. 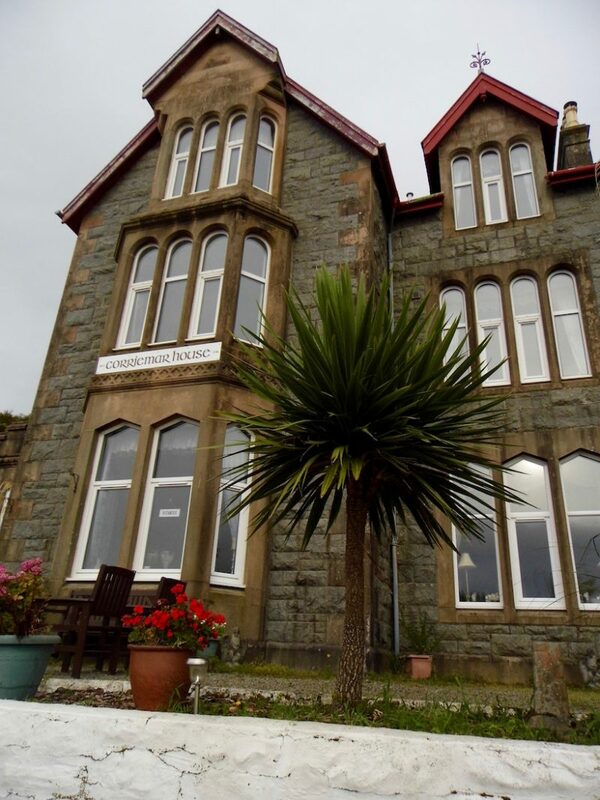 We stayed at Corriemar House* which was a good choice since we had a view of Oban bay. And a sketchable building in itself. A wonderful setting, the room was spacious and comfortable and we could see the ferries making their way towards the various islands. You could also try the Perle Oban* which I like the look of with its boutique feel. It also commands views over the bay, abeit from further into the town. Where would Stephen and I be without our grub? Welcome to the Seafood Capital of Scotland! You certainly won’t go wrong if you’re a seafood fan. 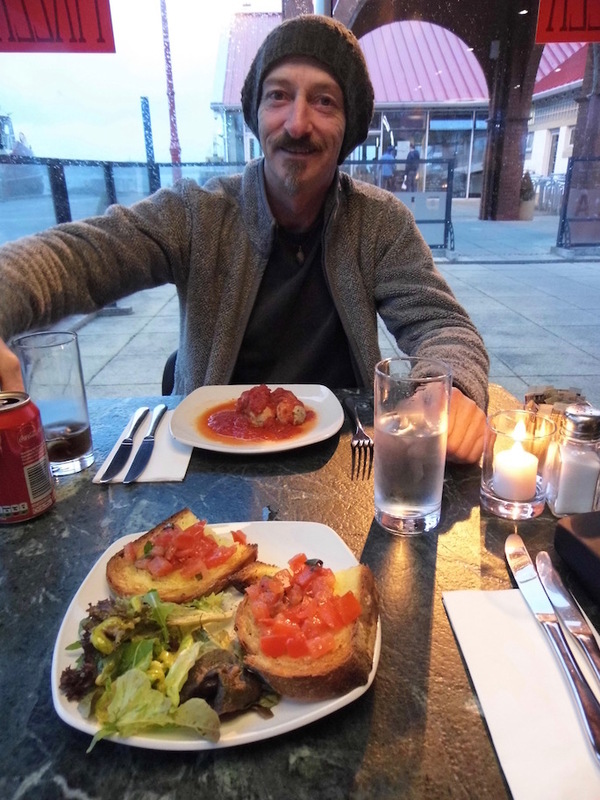 We visited Piazza* on the pier where we had a window seat with a view. A lovely setting watching the lights of the bay twinkle as it got darker, plus eating out there didn’t break the bank. 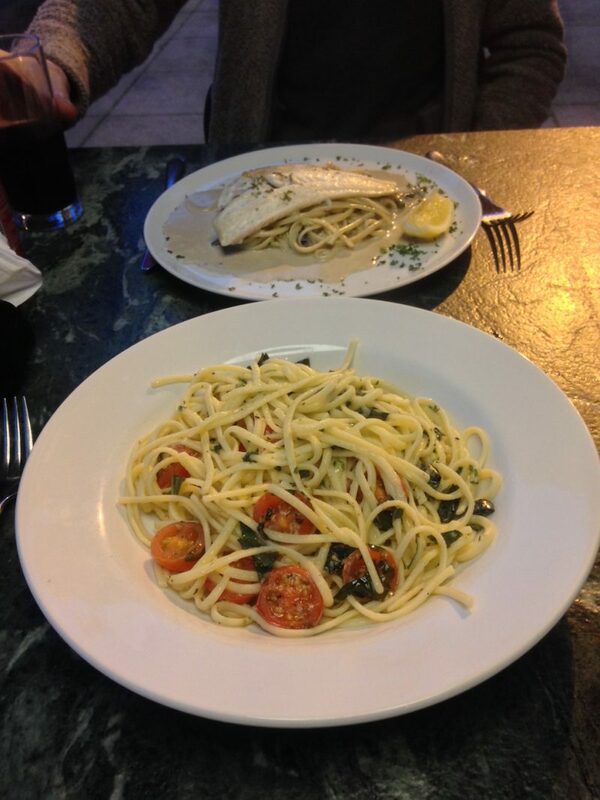 Stephen chose a sea bass dish while I picked the Focaccia followed by Linguine al Parmigiana – not bad and filled us up. 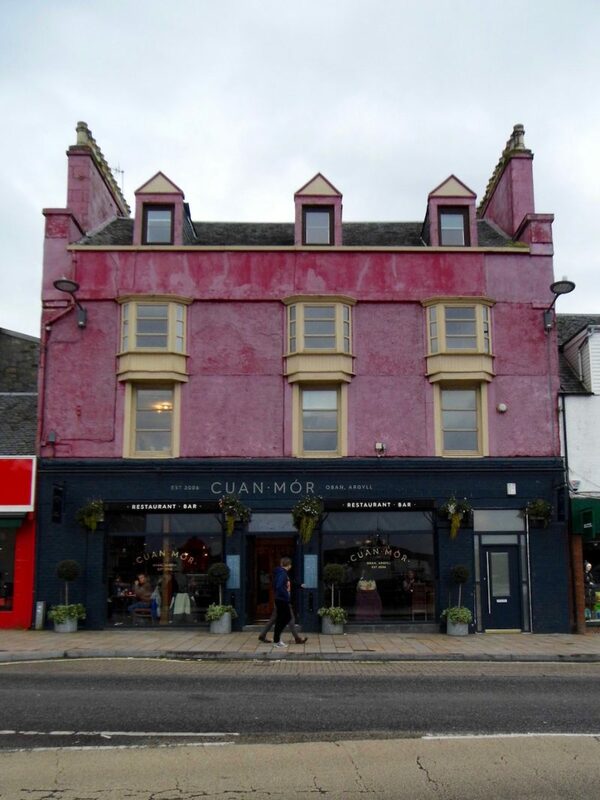 There’s also the Cuan Mor* which I’ve seen rated quite well (photo earlier). Basically if you’re a vegetarian be aware of the accolade the town has. Unless you’re pescatarian, in which case you’re in for a treat. If not you’ll have to be happy with the veggie options at regular restaurants, though luckily everywhere has those these veggie-friendly days. 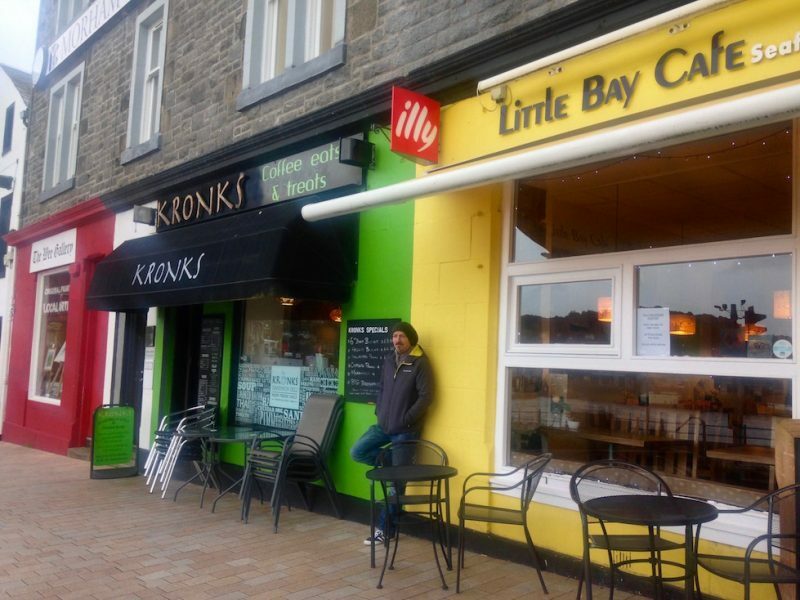 We also stopped off at the Little Bay Cafe* for a quick morning coffee. If you’re like me you can’t start the day without it and it’s a lovely spot in front of the harbour. 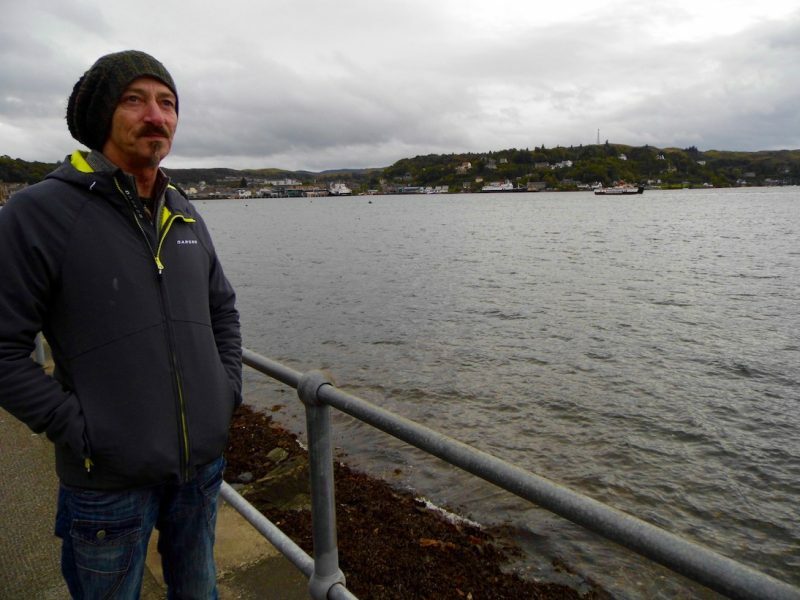 No website to link to apart from their Facebook page, but you won’t miss it – it’s the bright yellow one in a luminous row – and there’s a nice (white) pub called the Oban Inn* at the end of it. Yes, that’s my fizzy water and lemon sitting there. Come in the warmer months to draw. Yes I know, city softies! But since we were only here for a hot minute we didn’t really get the chance to do any art. 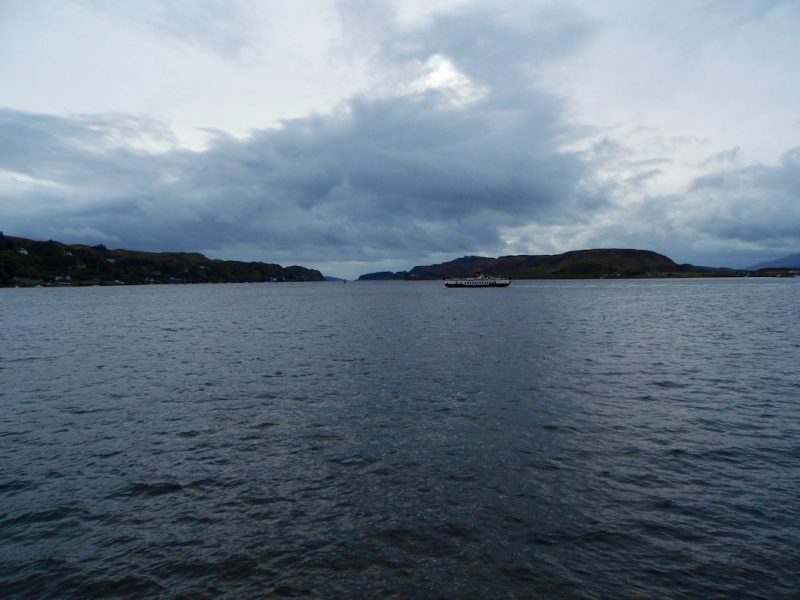 Experience a boat trip from Oban out to the Mull, Iona and Staffa. Try more seafood (vegetarian alternatives for me). Check out Part Two of our Scottish road trip on Friday where we took in Fort William and Glencoe. Plus met some new friends. * Unsponsored content. All write-ups are my own opinions. 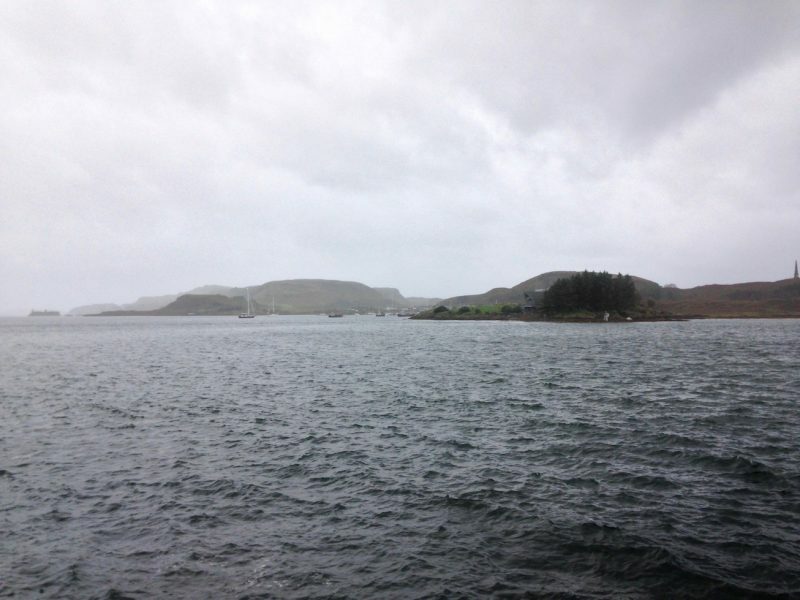 Have you been to Oban or taken a boat to the Inner Hebrides from there? Leave me a comment below. "Fort William and the Scottish Highlands"